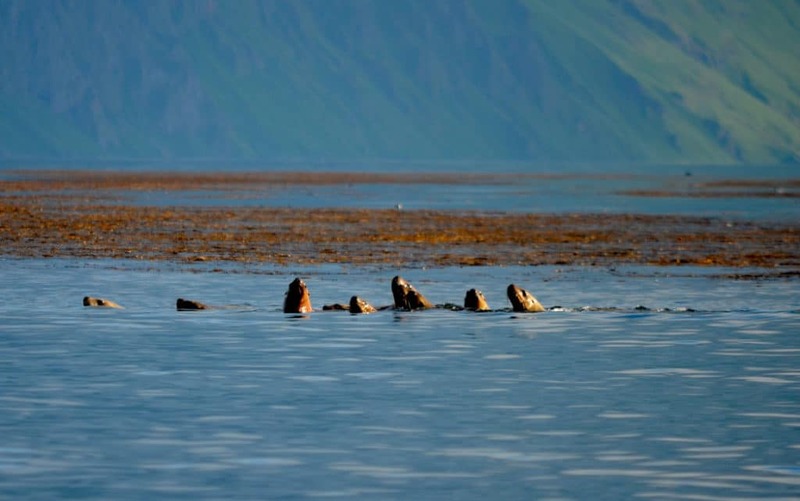 At the centre of the Aleutian Islands, Unalaska has a long and interesting history. From the original inhabitants of nine thousand years ago. To the Russian fur traders who made this place their headquarters, the role in World War Two, to present day. There are plenty of places to explore on the island and many beautiful views to be enjoyed from remote spots and natural viewpoints. 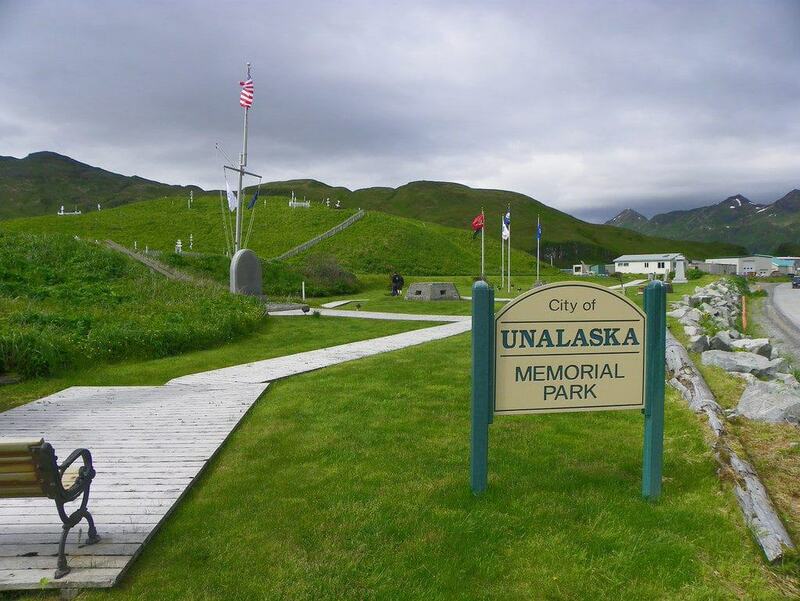 The rich history means there are great museums and outdoor monuments and sites dedicated to Unalaska’s past. If you are a nature lover, you won’t be disappointed. Unalaska makes for a perfect habitat for many species of birds, seals, otters and whales amongst others. 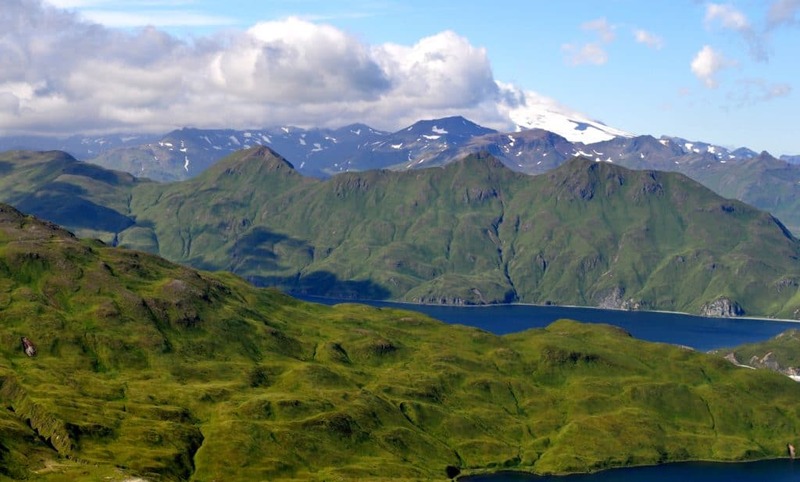 Here are some of the top things to do when visiting Unalaska. Whether you are interested in birds or Word War Two history, a walk up to Mount Ballyhoo is a fun and interesting thing to do. 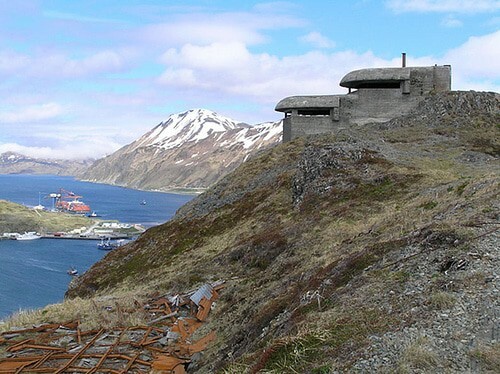 The panoramic view over towards the Bering Sea and Unalaska shows just how important the 1,634-foot mountain was as a strategic point during the second World War. 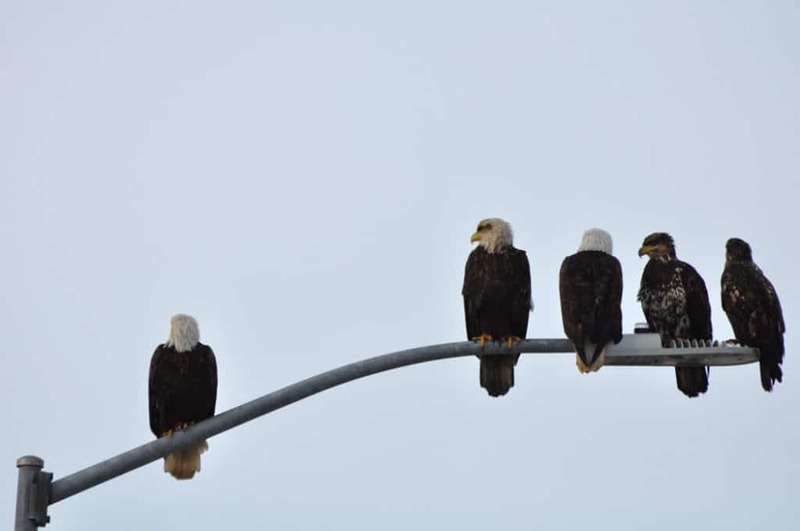 Bald eagles are also found on the mountain cliffs as they provide a secluded spot for their nests. You will see them flying overhead and perhaps sitting in their nests. If you are really lucky you might spot whales in the distance too. Adjacent to Ballyhoo, Bunker Hill offers outstanding views of whole surrounding area. 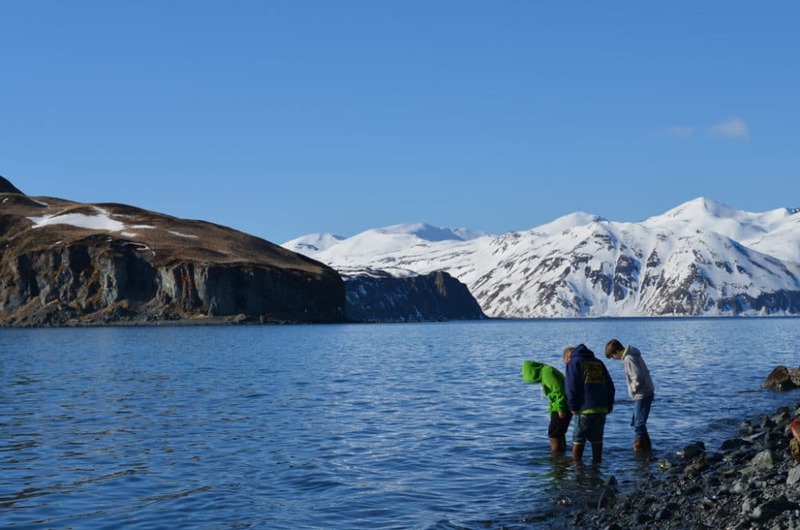 Including Captains Bay, Amaknak Island, Unalaska Bay and Lliuliuk Harbour. It is definitely a place to bring your camera to capture the incredible panorama. Historically the location was used for coastal defence during World War Two. Four 144 mm guns were placed on Bunker Hill after the Japanese bombed Dutch Harbour back in 1942. Today you can see some gun mounts that are still in place on the hill. Not only is there plenty history here, Bunker Hill is another great place to enjoy the amazing wildlife. It is an excellent place to watch the native Aleutian birds. This park was built to honour Coast Guard and Navy personnel who fought in the second world war. As well as the memorial itself you will find the remains of the war effort here. Including concrete bunkers and pill boxes. You can feel the history and it is a lovely park to walk around and pay your respects for those who served during the war. 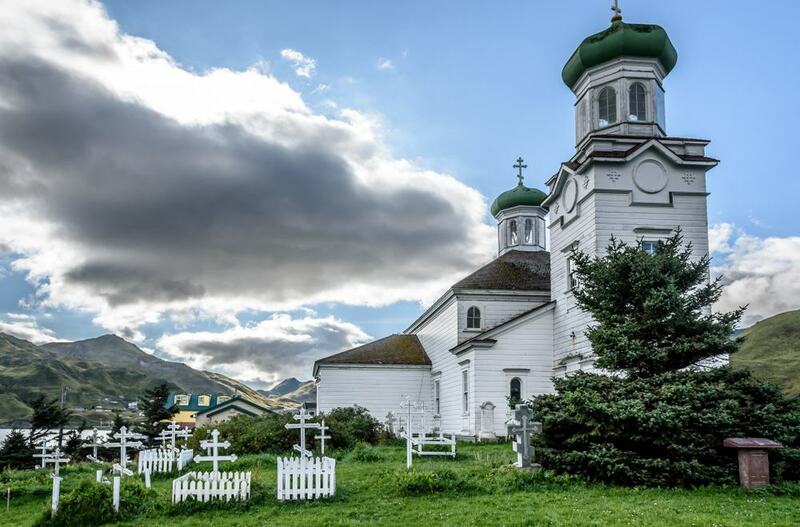 The church is a striking reminder of the Russian influence on Aleutian religion and culture. The Russians arrived in the mid-1700s and the church was built a while later, making it the oldest cruciform-style cathedral in North America. You may not be able to enter this National Historic Landmark as the opening times are limited. But it is worth the visit just to see the architecture from outside. However, if you do enter you will be treated to viewing Russian icons, books and relics dating back to the 16th century. There is also a mural showing different saints which is thought to be a gift from the last Czar of Russia. Captain James Cook is responsible for naming a few of the nearby islands and English Bay is the location of two landings made by Cook and his crew in 1778. Today English bay is difficult to get to, but you can take a boat charter out to follow the same path that is thought to have been taken by Cook and his crew. You could also take the remote hike overland to English Bay if you are looking for a real adventure. 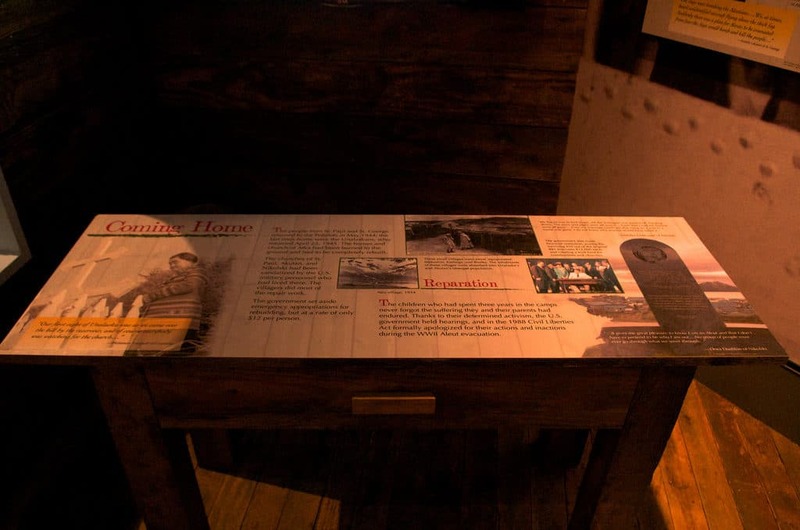 Whether you want to see the place in person or just learn about the history in Unalaska. Captain Cooks landing in English Bay is an interesting place to see and has history to enjoy. This museum has everything you need to learn a comprehensive history of the Aleutian native people. It also covers history all the way up to the second world war. The main and permanent exhibit gives you plenty of information in different mediums. There are interactive displays and videos which help you understand the artefacts on show. Expect to see tskin skins, baskets, masks and ancient tools which all give context to the early Unangan way of life. Next you will learn about when Russian fur traders came to Unalaska, life during world war two internment of Unangan people to sub-standard camps in Southeast Alaska. So much has happened in this island’s past, so this museum is not to be missed to understand the areas turbulent history. A popular fishing spot, Front Beach is a place loved by both locals and tourists. There are beautiful views and plenty of things to see. Watch the fishing boats coming into shore, enjoy a beach campfire or spot the eagles and other birds that frequent this location. This place is easy to get to, park on Bayview Avenue and take a walk down the embankment towards the beach. The beach is near to Russian Orthodox Church and Memorial Park, so it is a great addition to a sightseeing day trip. A nice drive to the end of Captains Bay Road and then enjoy a hike up the hillside for amazing views across the protected waters of Captains Bay. Here you may see humpbacks whales feeding at certain times of year. If you want to visit you need to make sure you get a land use permit from Ounalashka Corporation in advance. There are many ways to explore this interesting bay but however you choose to discover the area you’ll be amazed at the wildlife you’ll find here. Tour the area by chartering a boat, or book guided sea kayaking tour. During your tour you may spot sea otters, sea lions, and humpback whales and many different sea birds too. If you take a charter just outside of the bay, you may find Orca, Minke whales, and white-sided dolphins. All amazing creatures to observe and photograph. Stroll around these old military roads and enjoy some great views, wildlife and some historic sites. The views are fantastic and get closer to see WWII-era trenches and the remains of old bunkers. Remember before you take a hike, you need to get a recreational land use permit from the land-owner which is Ounalashka Corporation. Never pick up any objects as souvenirs, including natural items such as eagle feathers and any World War Two artefacts. Collecting here is illegal as the land is private property. You will also find lots of ground squirrels here, kids will love seeing the squirrels but watch out for the holes in the ground. 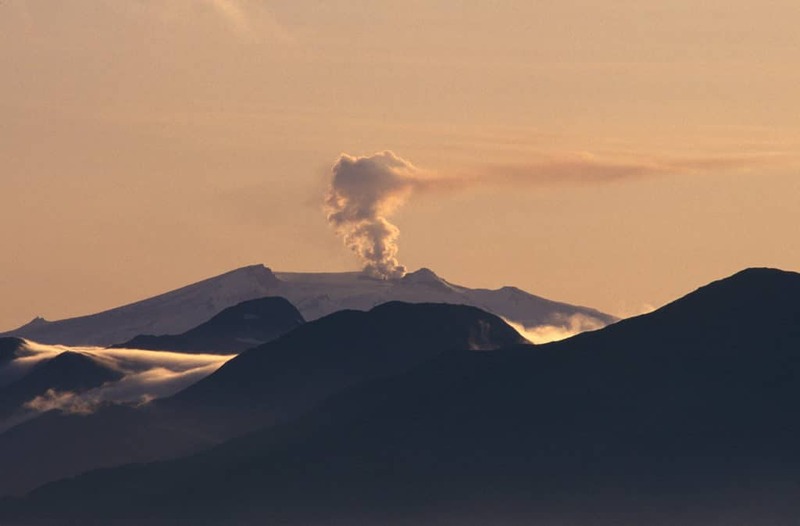 This active volcano is the highest peak on Unalaska. It last erupted in 1995 and scientists are still studying the volcanic activity here. The volcano is not easy to spot but on a clear day you can see it in the distance from one of the higher mountain trails. If you want to visit you will have to hire a guide or book a trip as it can be difficult to get to. Some more hardy adventurers choose to ski, hike and even camp on the ice-covered volcano. But remember you must get permission from the land owner. For those looking to take an easier, short hike at lower altitude, the Dutch harbour spit head is perfect. Walk along the half mile stretch, looking out for seals, otters and other wildlife that congregate here. It is also a great place to watch the boats coming into the harbour which is the biggest fishing port on the island. Bird watching is one of the main reasons people visit the spit as well as to view the mammals. You can expect to see a variation of birdlife which are attracted by the fishing boats coming into harbour. Although this hike is only 4 miles, it is quite a difficult one, so you should be a fit experienced walker before taking this trail on. If you are looking for a challenging but short adventure the Agamgik Bay trek may be the one for you. The most difficult part of the hike is climbing down the gorge then back up the other side, the bridge that once stood here is long gone. Start the trail on the old military road, passing through the gorge and onwards down to the beach shores. There are a few things you might find interesting along the way including world war relics amazing wildlife and fantastic views. At the end of the summer this festival marks a celebration of Aleutian life as well as all who live and visit here at this time. Organised by the local organisations that keep the natural and cultural facilities alive. 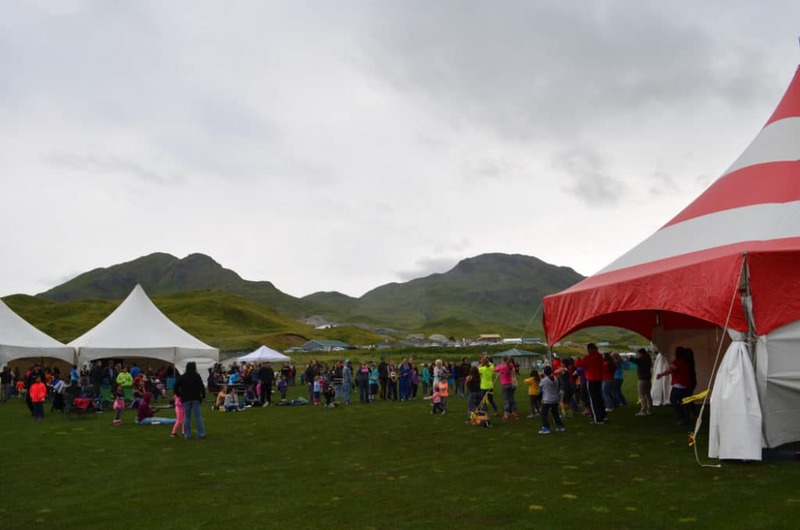 The Heart of the Aleutians Festival is a great family festival. There are artists, craft persons and local businesses who gather together to sell their wears and show their services. If you plan to visit during this time you will enjoy a fantastic experience and really get to know local life. This festival or contest is held over ten hours where participants compete to land the largest halibut you can. There is a $1,000 cash prize up for grabs and anyone can enter. Even if you have never fished before, the Unalaska Halibut Derby is a good time to try your hand. Halibut is one of the largest fish in the ocean and it is hard work to conquer these big fish. But it will be worth it to rank within the others fishing in the festival.